When designers decide against standard catalogue products in favour of application-specific connectors, ODU’s main concern is for connector functionality, cost, design and exclusivity. The development of new medical devices, automotive electronics and other areas, can create requirements for new connector designs. For example, ODU is currently developing and manufacturing customer-specific connectors for three different MRI applications, as well as connectors for automotive electronics, nuclear submarines and household appliances. MRI connectors must provide more than 100,000 mating cycles, assuming about 40 procedures per day over a 10-year system life span. Furthermore, MRI image resolution increases steadily, pushing the RF frequency requirements for coax connectors to above 4 GHz. The increasing magnetic flux of the MRI coils with up to 3 Tesla requires non-magnetic components with extremely low magnetic permeability (< 0.0005 µ). When the decision is made to develop a customer-specific connector, the control of the project has to be in the hands of the development engineers and not the buyer. The designer has to accept a certain risk when searching for an optimum solution using a custom-made connector in favour of a standard product with only marginal performance. It requires courage and willingness to make a decision. Compared to standard products, the sale of customer-specific connectors available from Clarke & Severn Electronics places a much larger burden on the connector manufacturer. 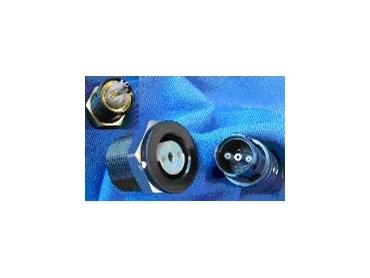 Standard connectors have demonstrated their performance, but the non-existing customer-specific connectors have to be sold based on the competence of the manufacturer. The seller must have strong technical knowledge, should be trustworthy, and have a convincing personality. But it is not only the seller that plays an important part in the process. As development schedules are getting shorter all the time, the team has to work closely together from the beginning. That includes the sales department, engineering, tooling department, production, and project management. One problem is that often the customer may still want design changes even after the specifications have been signed off and the purchase order was released. That problem is somewhat mitigated by the progress in rapid prototyping techniques. Today, it is possible to make high-quality, functional samples in only a few days. The internet and video conferencing provides efficient communication channels even with customers on the other side of the world. Operational procedures such as FMEA and TS 16949 in the automotive industry provide a systematic approach from the start.